The main research goal of the MR physics group, presently with approximately 35 participants and associates, is to develop clinically useful methods for functional MR investigations at high and ultra-high field strengths. 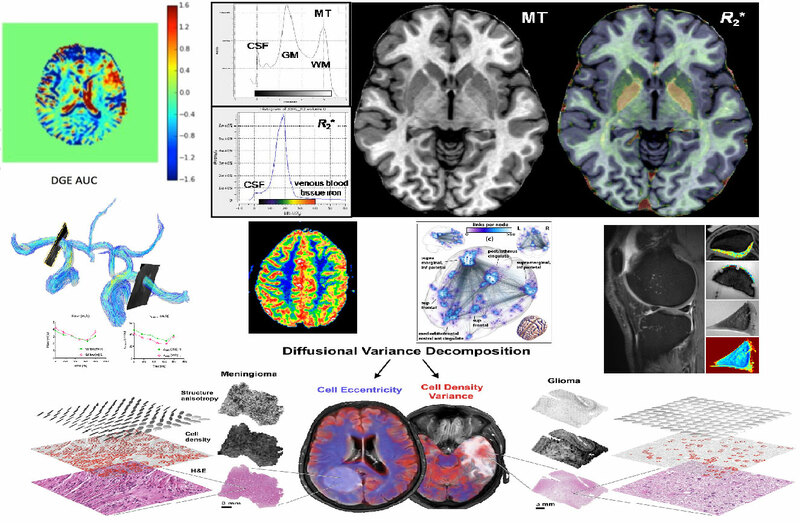 Specifically, we investigate MR methods for measurement of microcirculation (perfusion and cortical activation/fMRI), macrocirculation (flow) and thermal molecular motion (diffusion). Recently established areas in the group encompass ultra-high field studies using CEST as well as quantitative MRI in the brain and in the musculoskeletal system (MSK). Additionally, the MR physics group takes active part in national and international MR safety work and MR education programs. MR Physics group members are co-responsible for a national MR education program entitled the Lund School of MR.
Xu, X., Xu, J., Linda Knutsson, Liu, J., Liu, H., Li, Y., Lal, B., Laterra, J., Artemov, D., Liu, G., van Zijl, P. C. M. & Chan, K. W. Y., 2019 Feb 22, In : Magnetic Resonance in Medicine.